Madidi National Park is situated in northern Bolivia and is considered one of the most biodiverse protected areas in the world. Identidad Madidi is a two-year biological expedition currently surveying the flora and fauna of Madidi National Park. The 1,000th bird species – a dusky-tailed flatbill (Ramphotrigon fuscicauda) – was discovered through a recording of its call, and came as a surprise to the expedition’s ornithologist. An ongoing expedition in Bolivia’s Madidi National Park has recorded its 1,000th bird species, highlighting the park as a hotspot of avian biodiversity. The park is thought to contain more than 10 percent of all the world’s bird species. Spanning 19,000 square kilometers from Amazon lowlands to Andean peaks, Madidi National Park’s many ecosystems bring with them a huge array of wildlife, making it one of the world’s most biodiverse protected areas. However, it had never been systematically surveyed before now. Indentidad Madidi is a two-year biological expedition involving dozens of researchers from primarily Bolivian institutions. Kicking off last June, the project a little over halfway finished exploring the many ecosystems of Madidi National Park, which lies along northern Bolivia’s border with Peru. Along the way, the team has made a number of discoveries, including seven new frog, lizard, and catfish species. The researchers have also recorded around 950 butterfly species — which means the park has more kinds of butterflies than Canada and the U.S. together. And now they’ve tallied their 1,000th bird species, a dusky-tailed flatbill (Ramphotrigon fuscicauda). The expedition’s ornithologist, Victor Hugo Garcia of the Bolivian conservation NGO Armonía, was analyzing bird recordings in his office after getting back from a sampling trip when he heard the fateful call. 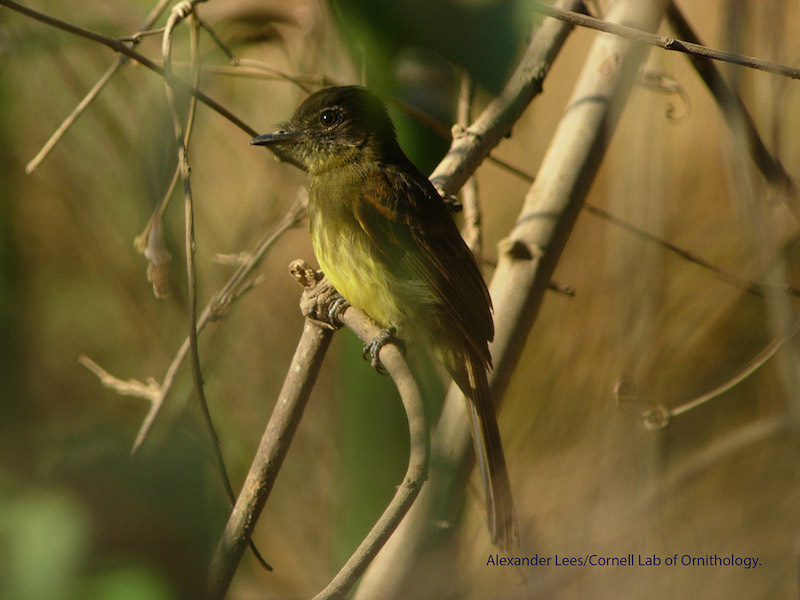 Garcia recorded the dusky-tailed flatbill back in October when the team was sampling a transition zone called Alto Madidi near the upper portion of the Madidi River, where Amazon rainforest meets mountain foothills. The recording was verified by other Armonía ornithologists. 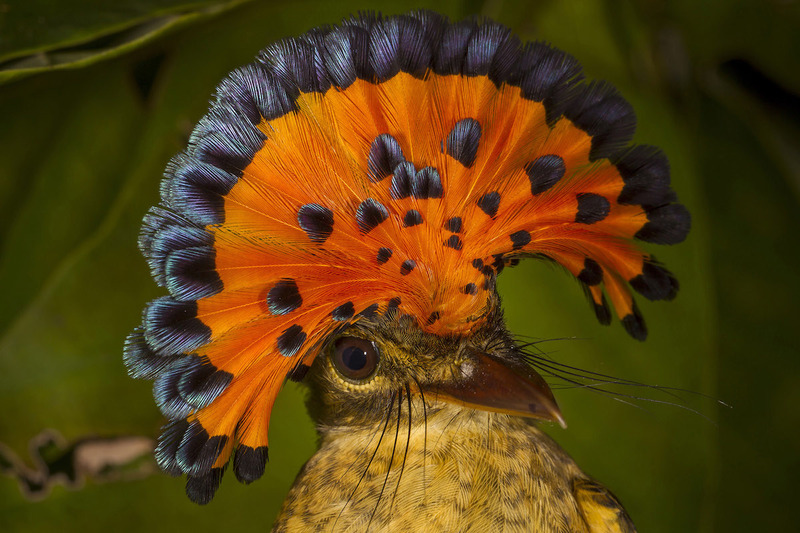 “It is especially fitting that Madidi´s 1000th bird was registered at Alto Madidi and confirmed by a young Bolivian ornithologist who is able to recognize birdsong and natural history to register species,” said Robert Wallace, a biologist with the Wildlife Conservation Society (WCS) and leader of the expedition. “Twenty-five years ago the late Ted Parker III, a legendary Neotropical ornithologist who pioneered the use of vocalization knowledge in tropical bird surveys and influenced a whole generation of Latin American ornithologists, visited Alto Madidi and declared that Bolivia had the chance to create the worlds most biologically diverse protected area. 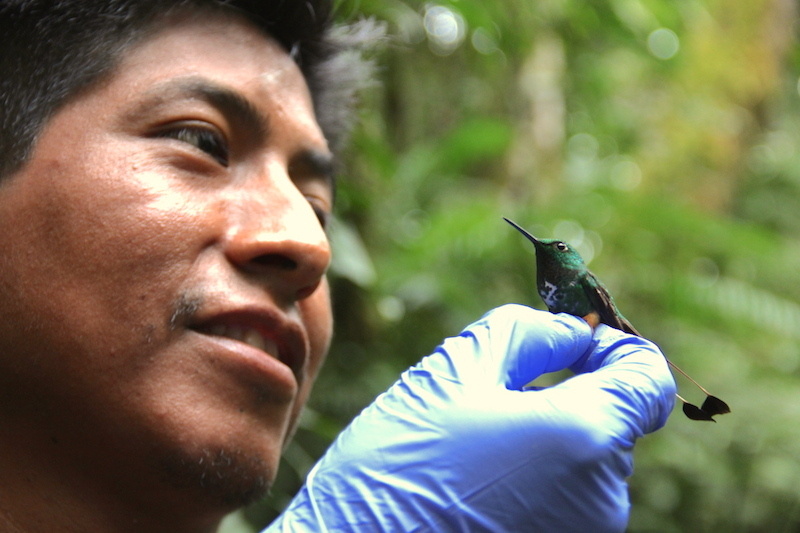 Victor Hugo Garcia examines a hummingbird he caught during the first leg of the expedition last year. Photo by Morgan Erickson-Davis. The expedition also logged this royal flycatcher (genus Onychorhynchus). Photo by Mileniusz Spanowicz / WCS. 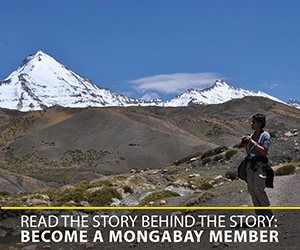 Along with WCS and Armonía, other institutions involved include Bolivia’s Ministry of the Environment and Water and the National Park Service, as well as the Vice Ministry of Science and Technology, the Bolivian Biodiversity Network, and the Gordon and Betty Moore Foundation. In addition to cataloging Madidi’s plants and animals, the expedition is aiming to showcase the park’s biodiversity in Bolivia and around the world. Its next survey trips will take the researchers up into the mountains, with stops in lower and mid-montane forests – including cloud forests – before culminating 4,750 meters (15,500 feet) up in the high Andes. Learn more about the expedition at www.identidadmadidi.org or on Facebook.